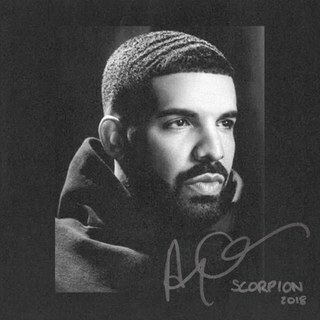 On June 29, Canadian rapper Drake released his fifth studio album entitled Scorpion. Drake’s LP launched as the number one album on the Billboard 200 and includes singles like “In My Feelings”, “Nonstop”, and chart-topping singles like “Nice for What”, and “God’s Plan”. The project was Drake’s first double album. Scorpion broke Spotify’s one-day global record with 132.45 million streams. It also broke Apple’s one-day global record with 170 million streams. All 25 tracks on the album entered the Billboard Hot 100 and Drake became the first musician to simultaneously debut four singles in the top 10 of the US Hot 100. The album shows Drake’s maturity and how he has continued to grow throughout his career. From jabs at Pusha-T and Kanye West, to lyrics pertaining his newborn son, Drake seemed to take a no-nonsense approach on this album. My favorite song on the album is “Sandra’s Rose”, which discusses Drake coming from a bad situation to ultimately becoming famous and making his mom proud. Everybody has goals of making their mom proud and to show them appreciation for the sacrifices they made for the benefit of us. The song is an inspiration is hopefully how my life will turn out in the future. An artist such as Drake has a lot of pressure to continue to produce hits and he never fails at the challenge. With songs and lyrics that strike a wide variety of emotions and thoughts, I proclaim Scorpion as the best album of the year.